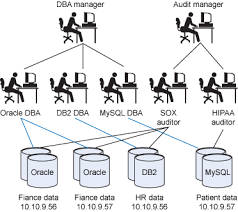 Today's leading provider of databases and database technology is Oracle. Its overall reliability, clustering technology, versatile platform and grid architecture have made several organizations choose Oracle. However, all the companies running on databases need dedicated database administrators, and it's no different for companies using Oracle databases. Oracle DBAs who can apply Oracle's advanced features and help you upgrade to the latest version are needed. Our DBA’s are highly skilled in database tuning, load balancing, application and database upgrades, capacity monitoring and database backup and recovery. We also employ seasoned flexibility and deep experience to create Oracle databases customized as per the client’s business requirements and needs. OdiTek also tailor remote 24*7 Oracle Support Services for ERP Applications and BI tools. We are specialist in remote DBA support using smart computing concept with strong and transparent SLA and also offer the best in class disaster recovery management for critical databases. We follow a proactive approach in identifying and solving problems before they impact your business and provide additional benefits of greater stability and better performance combined to create a truly effective ROI. Oracle offers a complete and integrated set of application development and business intelligence tools that supports any development approach, any technology platform, and any operating system. Forward-thinking architects and we developers are using these tools today to address the complexity of their application and IT environments with Service-Oriented Architecture (SOA), which facilitates the development of enterprise applications as modular business services that can be easily integrated and reused, creating a truly flexible, adaptable IT infrastructure. Some of the Administration tools are listed below.